Let us help create the perfect unforgettable Honeymoon for you. Have you planned your family vacation yet? the good deals are going fast. Have you always wanted to cruise the Caribbean? Are you looking for an exotic escape? Let Loudon Travel be your ticket to paradise. One of our well-traveled and knowledgeable travel agents will match your travel goals and interests with the perfect vacation. With travel packages available across the globe, we are sure that we can help you finally live your dream vacation. From honeymoons to family reunions, make us your one-stop-shop for all of your travel desires. Cruises can fulfill a range of vacation needs. While they’re great for couples or someone who is just looking to relax, the variety of great activities and comforts also makes them a great vacation for families. Loudon Travel can help you find the perfect cruise for your crew. We all know how quickly time passes. Don't look back and wish you had spent more quality time with your family. By booking a cruise, traveling the world and going on an exciting new adventure, you will create memories with your loved ones that are sure to last a lifetime. Why take your family to just one place when you can visit several? 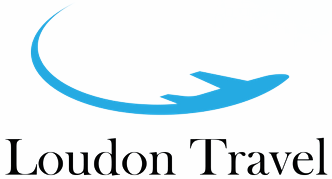 Loudon travel removes the stress of vacation planning, finding you the best places for sight-seeing, activities and accommodations. We handle the transportation, so all you need to focus on is fun. Going on vacation with your family is a great way to bond – especially when no one is arguing over what to do. Thankfully, there are many family-friendly hotels that offer so many options, there will always be something fun for everyone. Let us find the best option for you!